Organic Rosehip Oil: Natural source of vitamin E – which is an anti-inflammatory anti-oxidant that calms and hydrates dry and sensitive skin. It also helps protect skin cells from sun damage. 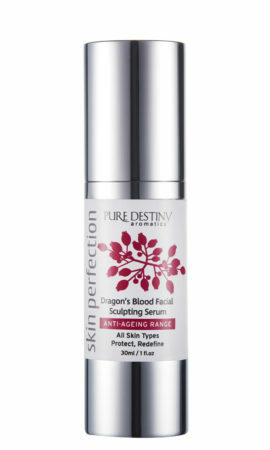 Natural source of essential fatty acids omega 3, 6 and 9 – which help repair and regenerate damaged skin tissue. Centella Oil: is a well-known herb traditionally used in the treatment of skin damage as well as for circulatory enhancement. It has been shown to have many healing attributes acting as a general tonic for overall skin and circulatory health. When applied topically it's been shown to speed the healing of damaged tissues and to minimize scarring. Essential oils: of Mandarin, Patchouli, Frankincense, Rose and Violet Leaf to nourish, hydrate and balance the skin. Also assist in cellular renewal and regeneration. Product Features: Paraben-free, Sulphate-free, Ethoxylate-free, Propylene glycol-free, Silicone-free, DEA-free, Artificial colour and Fragrance-free. Directions: Dispense a pump of serum onto fingers, and massage gently onto face and neck, using gentle upward circular motions. Apply onto cleansed, dry skin every morning and night, before your moisturiser. 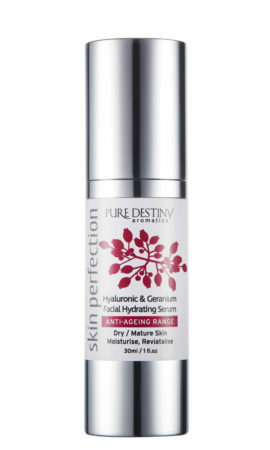 A multi-faceted formulation designed to firm, smooth, hydrate and repair the skin. 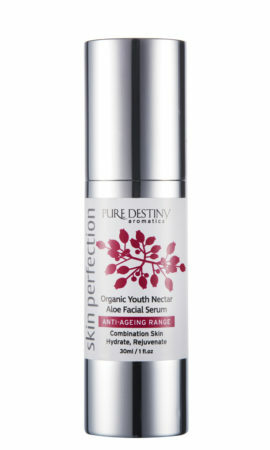 Ingredients: Organic Rosa rubinginosa (Rosehip Oil), Centella asiatica (CentellaOil), Tocopheryl Acetate, Citrus madurensis. Citrus limonium, Pogostemon cablin Boswellia carterii, Citrus aurantium, Rose damacena, Viola odorata.